Nuclear energy professionals need to understand and address the catastrophe syndrome that of late seems to be increasingly at work in public mind in the context of nuclear energy. Classically the nuclear power reactor design and system evolution has been based on the logic of minimization of risk to an acceptable level and its quantification based on a deterministic approach and backed up by a further assessment based on the probabilistic methodology. However, in spite of minimization of risk, the reasons for anxiety and trauma in public mind that still prevails in the context of severe accidents needs to be understood and addressed. Margins between maximum credible accidents factored in the design and the ultimate load withstanding capacities of relevant systems need to be enhanced and guaranteed with a view to minimize release of radioactivity and avoid serious impact in public domain. A more realistic basis for management of an accident in public domain also needs to be quantified for this purpose. Assurance to public on limiting the consequences to a level that does not lead to a trauma is something that we need to be able to credibly demonstrate and confirm. The findings from Chernobyl reports point to significant psychological effects and related health disorders due to large scale emergency relocation of people that could have been possibly reduced by an order of magnitude without significant additional safety detriment. A combination of probabilistic and deterministic approaches should be evolved further to minimize consequences in public domain through enhancing safety margins and adding greater precision to quantitatively predicting accident progression and its management. 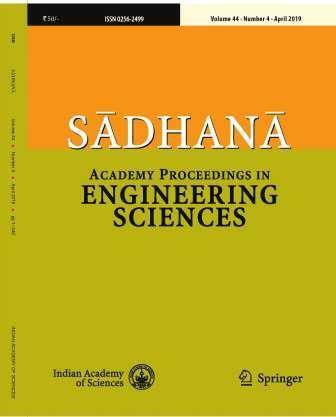 The paper presents the case studies of the extreme external event such as tsunami and its impact on the coastal nuclear plants in India, the containment integrity assessment under the extreme internal event of over-pressurization and aircraft impact along with hydrogen deflagration/detonation-induced loadings. These are at the moment extremely burning issues due to the severe accidents of Fukushima, Chernobyl and Three Mile Island reactors. In the present day context identifying the extreme loadings in a separate category and the corresponding margin assessment is necessary in addition to the implementation of the mitigation and upgraded safety measures. Further, the paper attempts to address the question of public trauma in the event of a serious nuclear reactor accident, a need that has been felt in view of the recent Fukushima and earlier Chernobyl accidents and the resulting large scale relocation due to the present deficient policies and the inherent limitations of Linear No Threshold (LNT) principle.